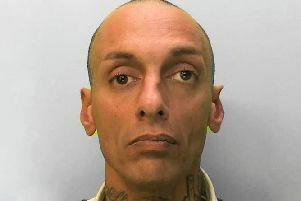 The owner of a dog which attacked a three-year-old in Bognor Regis has been identified by Sussex Police. Police said Devon and Cornwall Police had spoken to the owner, who does not live in Sussex, and was made to sign a dog control order. Laura Lavelle's son Harley was left injured after being bitten on the chest by the dog on Monday August 6 in Kings Parade, Bognor Regis and has since made a full recovery. A police spokesman said: "The owner has been spoken to by Devon and Cornwall Police and was made to sign a dog control order, which means she may face further action for failing to remove dog faeces, not keeping a dog on a lead, not putting and keeping a dog on a lead when directed to do so by an authorised officer, permitting a dog to enter land from which dogs are excluded and taking more than a specified number of dogs onto land."